Imtiaz Enterprises is a family owned business encouraging a complete "hands on" approach to quality control and export facilitation. The Mission of Imtiaz Enterprises is to be premier marketer, exporter and world wide distributor of fresh fruits & vegetables products with major emphasis on onions and potatoes. We succeed to differentiate ourselves not on size but for our commitment to quality, customer services, and our ability to respond positively to change. 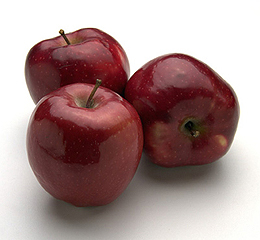 The company mainly handle agricultural products specialize in processing and export of fresh fruits and vegetables. The company was formed in 1989 with single aim to achieve excellence in this vast field. We are also doing business as a biggest wholesaler in Karachi Wholesale Fruits & Vegetables Market. We are also doing business as a biggest wholesaler in Karachi Wholesale Fruit and Vegetable Market. Our company collects and distributes products through sophisticated and experienced post harvest facilities owned. The focus of these operation is efficiency, price, competitiveness and quality. We have best and reliable supply sources for various products from Pakistan and abroad. We have very large distribution network around the world making huge turn over of all food items. Our attention to quality and service means that the best in Pakistan grown products available to anywhere in the world. Our commitment to customer ensures safeguarding their interest with timely deliveries and personalized services. The promoters of the company have experience of more than a decade in the business which helps us to supply exact order, delivered to consignee's deadline with real freshness. Our products are hygienically packed to avoid all types of contamination in our day-to-day business it means that our customers will get only the freshest, highest quality product with best possible services. At Imtiaz Enterprises we have an extensive line of fresh fruits and vegetables in volume all season long. The company aspires to achieve long lasting relationship with its clients based on strong corporate ethics. Our determination encourages us to maintain high quality and strict delivery schedules to successfully cater our clients' specific requirements. For the past forty five years we supply to the commercial food industry and have gained the confidence of Pakistan's product buyers. Our experience and longevity in the international arena have made us experts in providing food products to importers, distributors and retailers throughout the world including the Far East, Europe, South America, Latin America & the Middle East. 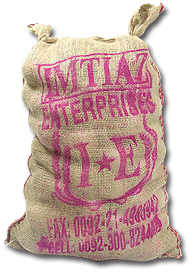 It is the combination of experience and resource that makes Imtiaz Enterprises the leading exporter of Pakistan. We have turn over of 15000 to 17000 MT/Year. Our products are graded to meet international standards, are pure and free from added preservatives. Our core concern is to do joint ventures and partnership with food related companies worldwide. If that interests you contact us now!